No matter how modern and outgoing we become, weddings across the globe still manage to remain a traditional affair. Every part of the world follows its own traditions, and Brisbane is no less in this respect. Brides usually like weddings that follow family traditions. They enjoy wearing classic dresses and jewelry, of which corsages are an important part. 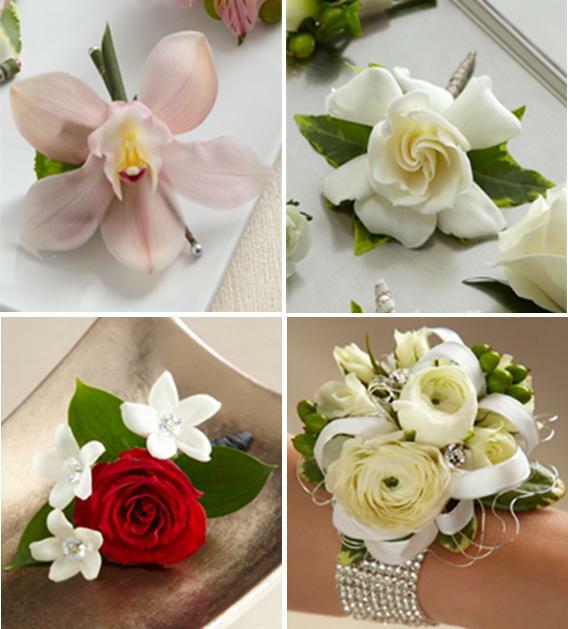 Flower corsages in particular are preferred by most brides. Tiny flowers bunched together with ferns and hinged just below the shoulder or worn around the wrist are a perfect natural adornment. Over the Floristry in Brisbane offers all types of traditional wedding decorations services in Brisbane. We specialize in decorations based on fresh flowers and look after all other flower needs for weddings. From wall hangings, table bouquets, to the tiniest flower adornments like wedding corsages, you can find everything you want from a single place. There is an interesting history behind the use of corsages in weddings. Different people have different theories for the same. According to some, the Greeks first started the tradition of wearing fragrant flowers around the bodice. This was done particularly for weddings, where the bride and other women were made to adorn their dresses with flowers. They believed that the fragrance of these flowers kept the evil spirits away from the bride. Others believe that the tradition started in France, where a small bouquet of blossoms was called ‘Bouquet de corsage’. This is where we get the modern name for a small bouquet of flowers. There is a given corsage etiquette, which most traditional brides need to follow. Initially, in many parts of Australia, flower corsages were only worn by older women in weddings. Mother, Grandmothers, and aunts, but over the years, brides too have started adorning their dresses with corsages. There are a few things that should be kept in mind while using corsages First, the right way to wear a corsage is always on the left side of the body, so whether you choose to wear the corsage on the shoulder, on the bodice, or even around the wrist, it should be on the left side. The market today offers many options for corsage types. There are fresh flower corsages, button corsages, beads and pearl corsages, all available in Australia. Most wedding decorators in Brisbane offer all three options. You can make your choice to your taste. Fresh flowers still remain the most popular with white weddings never out of fashion. Brides match beautiful blossoms, and get them clubbed with fresh ferns, and ribbons and other decorations. Button corsages last longer, and one can wear them free of any worry. Pearl and beads corsages are the most expensive depending on the flowers you choose. At, Over the Top Floristry, we bring you the widest collection of wedding flower decorations in Brisbane. We put in every possible effort to make your day more memorable. Be it flower corsages or button corsages, you can now buy the best detailed designs at the most affordable prices ever.